Our top team of aggressive and honest attorneys believes in crafting legal solutions that are beneficial to the client and their family. A Peekskill divorce lawyer from an esteemed law firm can help you get the results you desire. Divorce is difficult for many people; others easily reach the decision to divorce. No two dissolution cases are ever exactly alike, but everyone facing divorce in New York state has one thing in common; you must retain an experienced, knowledgeable New York divorce attorney who will advocate passionately for the most ideal outcome to your divorce proceedings. If you want to move forward with a divorce in Westchester, Dutchess, Putnam, Orange, or Rockland County, get the legal assistance you need and speak with a knowledgeable Westchester County divorce attorney at Kimberly Pelesz New York Law, LLC. IT IS TIME TO OBTAIN A DIVORCE? Divorce is never easy to go through. When you’re going through this type of situation, you will want an attorney who will be sensitive to your emotions, needs and apprehensions. An attorney who has handles similar cases and will be there to give you reassurance and confidence is someone you need on your side. In the Peekskill area, if you believe that it’s time for a divorce or legal separation, be sure to seek legal advice, resources, and representation that a knowledgeable Peekskill divorce lawyer can offer. No child wants to go through a parental dissolution. Divorce can be very painful for the children involved. New York family lawyers however find that when parents do not make an effort to help their children cope with the trauma or make their children’s lives easier after the dissolution, it is fairly likely that the consequences of the divorce will continue to follow the child around for years later. Remember, behind every child who has failed to adapt to his parents’ dissolution, are parents who may not have made the special efforts that are needed to help the child cope with this dramatic change in his life. Avoid using your child as a messenger. Avoid badmouthing the other parent in front of the child. This is extremely traumatic for the child, who may be close to both of the parents and loves both of the parents equally. Promise yourself that you will compromise your ego in order to ensure a smooth visitation schedule. A divorce is even more traumatizing for a child when it means a major disruption in his living arrangements. Even though the child may get used to the fact that his parents are living in two separate homes, he needs to have regular school times, mealtimes, and bed times. He needs to have routine in his life to continue to feel grounded. Ensure that routine is a part of your child’s life. Remember, you can only be a good parent when you take care of yourself. Take care of your mental physical, mental and emotional health. Take time for yourself, join a hobby class, and keep in touch with friends. Sometimes in disputed child custody cases, you have to get your child involved in order to testify. Of course, that can put the child in a difficult position and lead to a number of ramifications. To make testimony a little bit easier for a child, the child may testify in what New York law calls a “Lincoln” hearing. In the 1969 case Lincoln v. Lincoln, the New York Court of Appeals determined that in dissolution and child custody proceedings, a child may be questioned directly by the judge “in camera” (meaning in private) with no parents or attorneys present (except an attorney appointed by the court specifically to represent the child’s best interests). A Lincoln hearing protects a child from having to choose one parent over the other or speak about difficulties with a parent in open court. A stenographer must be present at any Lincoln hearing. New York judges are never required to conduct a Lincoln hearing. The Lincoln hearing is used to help the court corroborate the evidence already introduced in open court. If you’re divorcing or anticipating a dissolution in the Peekskill area, reach out to a knowledgeable Westchester County divorce lawyer promptly. Our dissolution attorneys take a comprehensive approach to divorce. We take the time to learn about our clients their families. We are genuinely interested in addressing your concerns, and we answer your questions in a candid, straightforward manner. We work with clients in both contested and uncontested divorces as well as those navigating the complexities of a high-asset dissolution. The difference between contested and uncontested divorce is simply the amount of involvement by the court. In an uncontested divorce, you and your former spouse make the decisions about your future; in a contested dissolution, a judge makes those decisions for you. An experienced Westchester County divorce attorney can help you make proper decisions regarding your divorce and the divorce proceeding. We offer cost-efficient, effective divorce solutions. 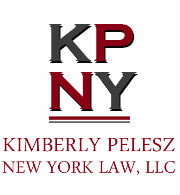 Contact our firm, Kimberly Pelesz New York Law, LLC promptly for a consultation, free of charge, if you are anticipating a divorce. visit one of our offices in Peekskill and Poughkeepsie, we serve New York clients in Beacon, Fishkill, Wappingers Falls, Newburgh, Tarrytown, Greenburgh, Westchester County, Dutchess County, Putnam County, Orange County, and Rockland County. To learn more about how an expert Westchester County divorce attorney can assist you, email us or call us at (914) 402-4541.